Obverse bears a profile bust done in the classical style of Emperor Napoleon I of France. Surrounding legend reads: "NAPOLEON EMPEREUR". 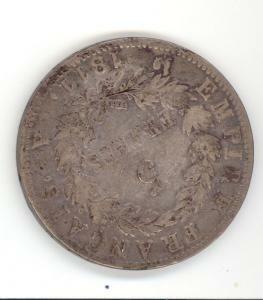 Reverse bears a wreath of oak leaves within which is the legend "5 FRANCS." Surrounding the wreath are the words: "EMPIRE FRANCAIS 1811" and the mint mark "A" of the Paris mint and an assayer's or minter's mark. 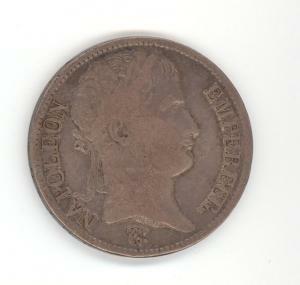 Rather than reeding, the coin's edge bears the inscription: "DIEU PROTEGE LA FRANCE".